This very distinguished Italian Renaissance-palazzo-style building was erected in 1917 and converted to a cooperative in 1983. It has 48 apartments. 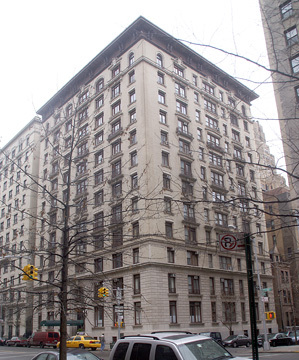 The white-brick, 12-story building has a two-story rusticated limestone base with a two-story, arched entrance with a canopy flanked by globular lanterns that leads to a step-up, creamy white marble lobby that has a large and handsome stained-glass window. 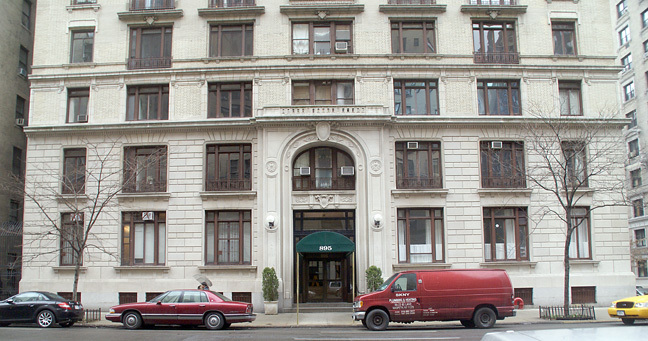 The building, which has a large cornice, has a concierge and sidewalk landscaping. The building's facade has some decorative balconies and consistent fenestration. Most of the windows are large and have seven panes. This building has a very handsome marble lobby with stained glass window and a concierge. The building has sidewalk landscapingand permits protruding air-conditioners. It has a step-up lobby and no roof deck, no garage and no fitness center.